49 Years After - feature film A unique drama based on a true story about a NY Holistic Therapist, and her clairvoyant childhood in Greece. The story shows humanitarian and friendsdhip values. Thalia Alexiou, "49 Years After" A psychic mystical drama about a NY Holistic Therapist, and her clairvoyant childhood in Greece. Still from the scene with Sofia and her father in Greek island Rhodes. 49 Years After is an exciting story that celebrates the diversity among us, an adventure into the parallel world of the undead and the values of humanity and friendship which go beyond limitations. The story is based on a true story held in an Greek island and New York. Sophia-a Holistic Therapist, is helping a clairvoyant girl cope with her abilities,which stir up deep rooted memories of Sophia’s childhood in Greece, dealing with similar paranormal issues including an encounter with a deceased young Jewish boy who died while her grandfather was trying to harbor him from the holocaust. Based on the true tales of Thalia Alexiou and directed by Petra Terzi. “49 Years After” is an adventure into the parallel world of the undead. It tells the story of a clairvoyant woman named Sofia, who practices alternative medicine in New York. Sofia has a young client named Annie, who sees a lost boy (Andrew is an Irish immigrant in NY in 18th century), that no one else can see. Annie’s mother cannot see Andrew, but believes her daughter and asks Sofia for help. Annie causes Sofia to recall painful buried memories of her childhood in Rhodes, Greece. As a young girl, Sofia also had visions that no one else could see. She was punished harshly by her mother and the village priest who didn’t know understand her gift. Sofia is determined to help Annie to reunite her friend Andrew with his loved ones in the afterlife. Annie opens a memory of Sofia discovering the hidden bones of a Jewish boy under her great-grandmother’s death bed. Her grandfather is forced to tell her a story about a young child who belonged to one of the many Jewish families he helped escape from Rhodes to Turkey during WW2. Sofia digs deep into her memory of her father and his painful experience during WW2. He tells her of his friendship with a German soldier and his punishment in his refusal to kill him. 49 years after, Sofia decides to share her story as a legacy to her family and to the world. “49 Years After” inspires the values of friendship and humanity. 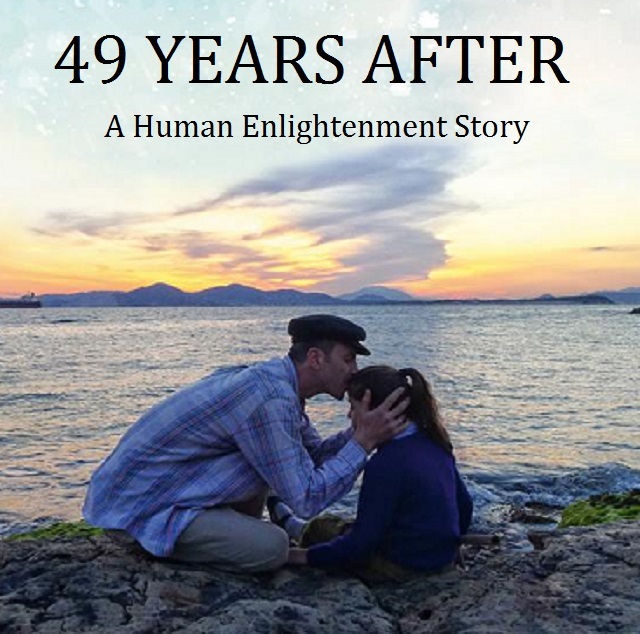 “49 Years After” is an exciting story that changes world consciousness from good to the better.